Ph.D from Department of Political Science, Gauhati University. Presently Research Supervisor of Department of History, Gauhati University and Bodoland University. Published number of articles in journals and books and edited books include Assam Society, Culture, History. India, with its robust economy, has emerged as one of very important global players. Since independence, the country makes significant strides in all most every sphere. Science and technology is already transforming the development paradigm of the country. The digital transformation ushers a new era in the social history of the country. To reap the demographic dividend, we have to prepare our students for the rapidly changing competitive world. While preparing for such competitions holistic development of students have to integrate both academic development and human values. Ratnapith College, the dream child of former Chief Minister, legendary leader, Jana Neta Sarat Ch Sinha, was established with a view to materialize the mission and vision resembling that of Santi Niketan. 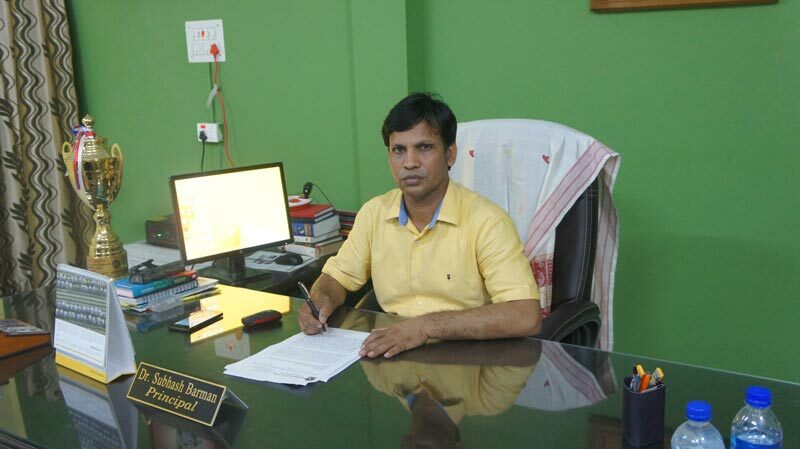 Jana Neta Sarat Ch Sinha was guiding the college for three decades and true to his legacy, the college emerges as a premier higher educational institution in western Assam. While imparting higher education among the people living at the bottom, the college has set a benchmark. Located in a peripheral area of the state, the college has at present more than 1500 regular students in degree under Gauhati University. Also, thousands of students have been studying in different distance courses of KKSOU, IDOL etc. With a dedicated and sincere brigade of teachers it is our mission to provide quality education to our students with a leveraging of the contemporary paradigms and discourses of Higher Education. To reap the benefits of advancement of information and communication technologies, Ratnapith College has already developed digital infrastructure. Along with modern ICT enabled classrooms, the college has number of Digital Class Rooms. The Wi-Fi connected college library has good facility of e-learning besides, the library is connected by INFLIBNET. Recently we have completed NAAC cycle II Assessment and Accreditation and the NAAC has reaccredited the college with B+ Grade. The NAAC peer team in its report highly appreciated the aesthetic beauty and vision of the college. The NAAC peer team also observed that the college bears a great future ahead. The students of the present generation are expected to carry forward the legacy of pride and glory of Ratnapith College and of Sarat Ch Sinha. It is my earnest appeal to all to come forward and help us in achieving our goal. Let us join hands to make our college one of the best in the region and to make the dream of the founding fathers a reality.